St. Vincent born and Brooklyn resident Ossie Dellimore has been a long-time member of the reggae fraternity. His remarkable talents led him to capturing first place at the acclaimed ‘Amateur Night at the Apollo’, which is no easy task. You may remember his tune ‘Time Has Come’ from the first Easy Star records first full-length release ‘Easy Star, Volume 1’ back in 1998. Now 12 years later the talented veteran presents his latest effort, simply titled ‘Reggae Music’. Generic name? Call it what you will. The title aptly describes what is found therein. If one word were to preface the two Ollie chose for the title it would have to be ‘Quality’. The album is solid to the core. Original, bass heavy one- drops dominate the record. Ossie’s voice is smooth yet smoky and as crisp as a cool winter’s morn. Stand out tracks include the pulsating, melodica-tinged ‘The Secret to Success’, the historically insightful ‘Old Time Something’ featuring a wicked guitar lick, and the hard hitting political exposé ‘How Come?’. ‘Restless Soul’ is superb. The organ adds a beautiful dimension to a multi-layered tune, both lyrically and musically. Prominent yet again and equally welcome is the rhythm guitar, reminiscent of a time when reggae music was raw, rugged and real! 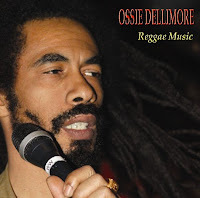 Dellimore has been rightly compared to reggae legend Peter Tosh with his booming baritone, socio-politically charged lyrics, and polished, precise delivery. The title track is certainly another gem on the record. Dellimore adds a bubbling interpolation to the Black Ark recorded, Paul Weston produced, Gregory Isaac’s classic ‘Mr. Cop’ riddim. Ruff Scott’s old school toasting is more than respectable. He and Dellimore compliment each other nicely. ‘Scandal Mongerer’ adds yet another dimension to the record. 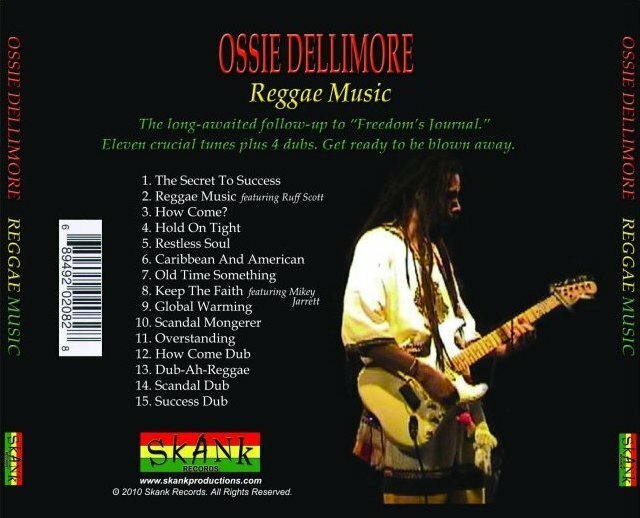 The riddim track is upbeat with a classic reggae progression and a perfectly placed guitar solo creating an ideal platform for Dellimore’s crisp delivery and stirring lyrics. ‘Reggae Music’ was one of the best releases of 2010. Any fan of roots reggae, modern or classic, needs this record in their collection.